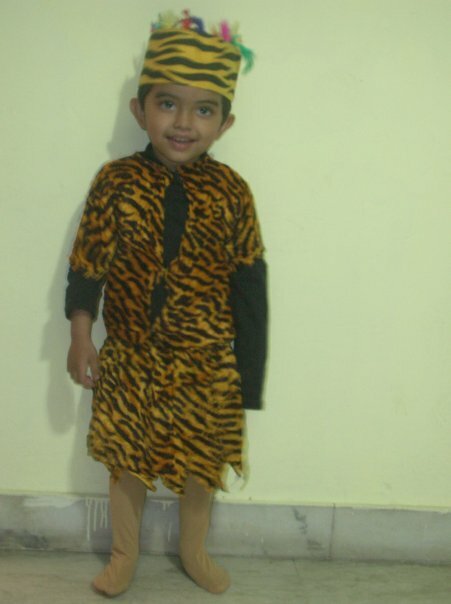 I was so thrilled when I found this old pic of Adi. He had to dress up as a hunter for a sports day cultural event in school. It took ages to get him into this costume because obviously, he wasn't too thrilled about it initially. Then, we got him excited by describing the adventurous life of a hunter (personally, I don't endorse hunting) and we got him ready for his performance in school. @ RRamesh - thank you...wonderful to hear from you as always. @Vidya - ya, thanks dear.